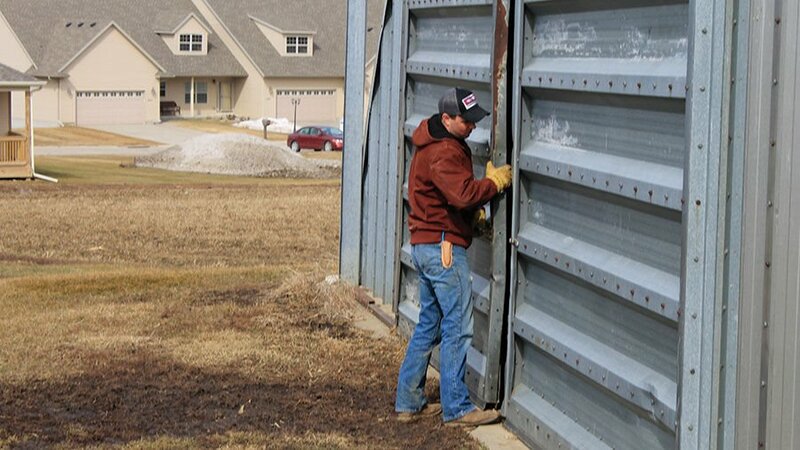 Marshalltown farmer Ethan Crow opens his shed next to a set of condominiums. He said there was an issue a few years ago with his neighboring buildings regarding water runoff, but he hopes maintaining a relationship with his neighbors should limit any future issues. MARSHALLTOWN — When a condo development was put in just to the west of his land, Marshalltown farmer Ethan Crow ran into an issue with new residents next door. Some of the land Crow’s grandfather farmed is now gone — topped with a McDonalds, a Menards, Applebee’s and Walmart. “When the condos were first built, we had a little issue with some natural runoff,” Crow said. “We didn’t do any dirt work on our side of the fence, but they are naturally lower than us. When people moved in, they found they were getting water in their basements, and they were blaming us. After some drama, he said things got straightened out. But it highlights an issue farmers near expanding towns have to deal with: urban sprawl. While some of the issues Crow dealt with were able to be fixed by having informal meetings from across the fence, there are still other factors he said he now needs to keep in mind due to his new neighbors. Throughout the years, Crow has seen land his family used to rent for farming undergo development. Just across the street from Crow is a newly built assisted living facility. When it was in development, “we went to all the city council meetings that had that on the agenda to just be informed,” he said. Griffieon lives in Ankeny, where she said the city has gone from being three miles away to lining three sides of their farmland. Des Moines covers an area of 82.6 square miles, with a population of 217,521 as of 2017. San Francisco covers 46.87 square miles with a population of 884,363. Griffieon said the key for expansion is making sure it is done in a smart way. She said Iowa’s metropolitan areas are growing as fewer young people take up farming. Older farmers are left with nobody to take over the ground, and so some opt to sell the land. Crow said he personally hasn’t felt any pressure from outside sources to sell, and indicated he wasn’t inclined to if he can help it. 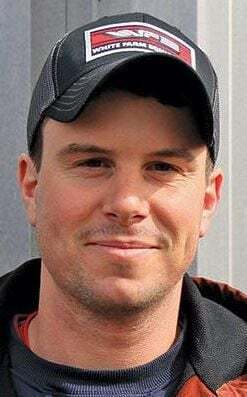 For as long as Crow intends to remain farming at his place in Marshalltown, he said he will try to remember the benefits whenever he gets frustrated about extra traffic or dealing with moving equipment. There’s a paved road in front of his house now, which helps with logistics, and the local Theissen’s Farm and Auto store is just down the road, which saves him what used to be a longer trip into town. All the while, his goal is to just be a good neighbor.